Another year of local ‘celebrity’ dancing is in the books, and Scott Owings and his partner Kati Komarek (pictured at left) were the winners of the coveted Mirror Ball Trophy! Congratulations to Scott and Kati — this is Kati’s third win! With attendance of almost 300, this was a fun and eventful fundraising night for Salina Community Theatre. We were happy to see DWSS alumni joining us. Liz Lee Catering provided delicious food and — of course — the open bar was hopping. 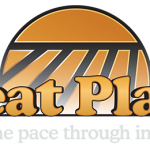 Special thanks and appreciation to Great Plains Manufacturing for being our corporate sponsor for this event! $11,125 was raised for purchasing new house lights for SCT’s Kephart Theatre. Mark your calendars for next years’s DWSS. The action takes place on March 3, 2017!